In 2016 the National Park Service will celebrate 100 years of protecting the many beautiful and unique national parks across the country. From fishing in one of the deepest canyons in the Western Hemisphere to surfing down the highest sand dunes in North America, Colorado’s four national parks offer vastly diverse and unique experiences. The state is also home to eight national monuments, four national historic trails, a national recreation area, two national historic sites and a river corridor. Below is a sampling of experiences for those hoping to get outdoors to celebrate the National Park Service’s centennial throughout 2016 and beyond. For more information on Colorado’s national parks, visit http://www.colorado.com/national-parks-colorado. For more information on Colorado's national monuments, visit http://www.colorado.com/articles/quick-guide-colorados-national-monuments. 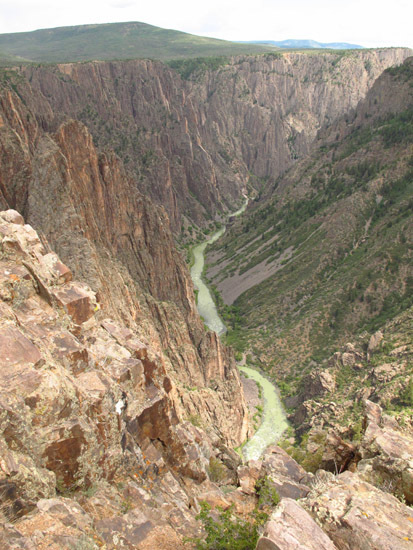 Black Canyon of the Gunnison National Park —The drama of 2,700 feet of sheer black walls falling into the Gunnison River highlights one of the deepest canyons in the Western Hemisphere. Located in the Southwestern part of the state, Black Canyon of the Gunnison National Park features a multitude of activities offering year-round fun. When snow blankets the ground in winter, snowshoe trekking, cross country skiing and winter backcountry camping allow for views of the snowy canyon and pure white overlooks. During warmer months rafting, fishing and stargazing are popular ways to enjoy the canyon. Expert rock climbers can put their skills to the test on Painted Wall, the tallest vertical wall in the state at a height of 2,250 feet. 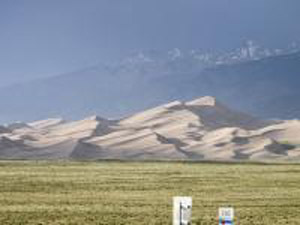 Great Sand Dunes National Park and Preserve—Mountains of sand stand higher in the San Luis Valley than anywhere else in North America at this unique landscape that was created over one million years ago. In late spring, visitors can soak in Medano Creek, a popular stream at the foot of the dunes and one of Colorado’s best beaches. Guests can even bring flat inflatables to use as they float down the waves. Sandboards feature a special design and slick bases for prime sliding during summer on any size dune. Late September and early October provide opportunities for photography with unusual contrasts of colorful trees, dunes and snowcapped mountains. The dunes are also great for sledding or cross country skiing in the snowy winter months. North America, illustrates history of our first settlers. Mesa Verde National Park —As the first park to be established in efforts to "preserve the works of man," Southwest Colorado’s Mesa Verde takes visitors back in time to showcase more than 700 years of Ancestral Puebloan history. Mesa Verde is also the largest archeological preserve in the U.S. 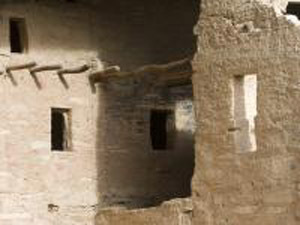 In summer take a ranger-guided tour throughout the largest cliff dwellings in North America, including Cliff Palace, the park’s biggest cliff dwelling. The abundant winter ecology allows for snowy hikes. Because of Mesa Verde’s bare trees, wildlife is more visible in the winter. Nordic skiing and snowshoeing are perfect opportunities to find animal tracks in the snow. Rocky Mountain National Park—Nestled between the towns of Estes Park and Grand Lake, 415-square-miles encompass and protect spectacular mountain environments located in the Front Range of the Rocky Mountains. 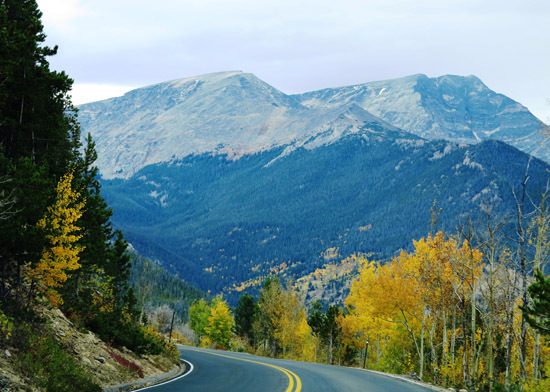 Trail Ridge Road takes visitors up to 12,183 feet in elevation on the highest continuous paved road in the U.S. A variety of ranger-led programs teach visitors about the park, wildlife and flowers. Hikes for all ability levels can be found throughout the park, or ride a bicycle down Trail Ridge Road. During the fall, visitors watch the annual elk rut when bull elk gather in meadows. In winter, cross-country skiing, sledding and snowshoeing are all popular diversions for those wanting to play in the snow. Browns Canyon, Colorado, Canyons of the Ancients, Chimney Rock, Florissant Fossil Beds, Dinosaur, Hovenweep and Yucca House are Colorado’s eight national monuments dedicated to protecting the state’s history and culture. These monuments include the highest density of archaeological sites in the country. Unique learning experiences can be enjoyed at any of these, including one of the most diverse insect fossil sites in the world and prime white water rafting and stone towers built by the Ancestral Puebloan people.